Internal investigators and congressional leaders expanded their review of a U.S. Army day care fee assistance program spotlighted by a recent News4 I-Team investigation. 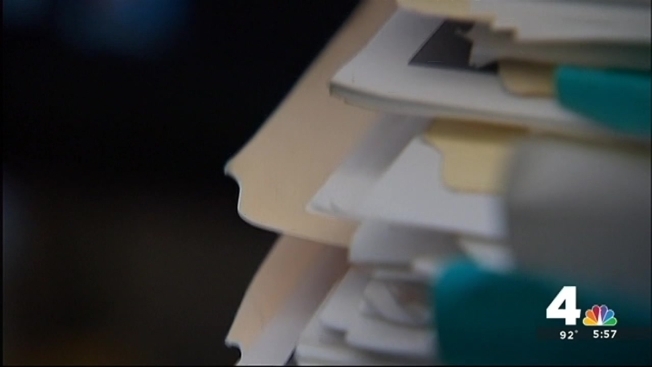 The I-Team learned the General Services Administration Inspector General is reviewing whether a backlog of unreturned phone calls and emails from parents is growing inside the “Army Fee Assistance” program. U.S. Sen. Bob Casey (D-Pa.) also made formal requests for information about the length of the backlog from which the program is suffering. In a letter to program administrators, Sen. Casey also requested the agency detail steps it’s taking to provide payments promised to Army families. More than 30 U.S. Army families have filed formal complaints about problems with a federal program that helps provide day care services for their children. More than 30 U.S. Army families filed formal complaints about problems with the Army Fee Assistance program, which reimburses Army parents for the cost of using private day care services outside military posts. Those complaints, obtained in a public records request by News4, detail frustration with delayed payments and lost paperwork in the program, which is administered by the U.S. General Services Administration. Internal audits show the Army Fee Assistance Program is suffering a backlog of more than 11,000 unreturned phone calls, emails and records requests. Some U.S. Army mothers, including two who spoke with the I-Team, said the program was months late in providing child care subsidies, causing deep financial problems for their families. The Army Fee Assistance Program serves Army families who cannot find daycare available on Army posts. The program allows those families to use private daycare services in nearby communities, then issues subsidies to those families to offset the cost of the private day care providers. Waiting lists are long and daycare slots are unavailable at some U.S. Army posts, families told the I-Team, requiring families to utilize the Army Fee Assistance Program to find child care services. The agency hired additional contractors to help reduce the backlog. The General Services Administration, its internal auditors and families said the program is complex. In many cases, investigators said paperwork errors or omissions by Army families are contributing to backlogs and payment delays.